Learn more about our Preschool Programs at an Admissions Friday event. 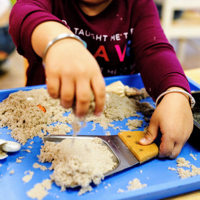 Multilingual, purposeful hands-on learning sets TNCS apart from other preschool programs. In the total language immersion classroom at the preprimary level, students are placed for the entire academic year in either full Spanish or full Mandarin Chinese immersion classrooms. Both lead and assistant teachers speak in either Spanish or Mandarin Chinese. In the partial language-immersion primary Montessori class, students develop proficiency in English as well as both other languages. In both preschool divisions, language learning is active and interactive. Teachers provide plenty of meaningful cultural experieces, such as cooking, singing, dancing, playing games, and reading stories to heighten students’ cultural awareness. 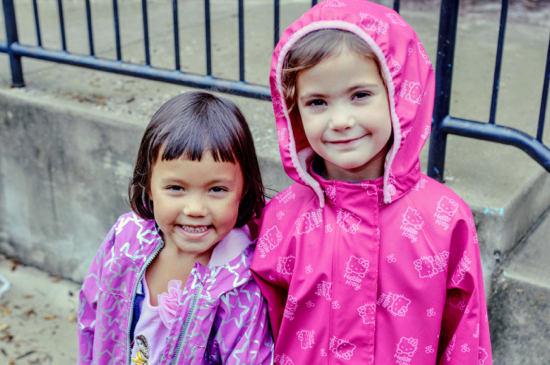 Our preprimary program is geared to our littlest learners, ages 2 and 3 years. Our classrooms are set up to offer an environment that includes the child as the curriculum, which focuses on a balance of structure, play, and social development. Students learn how to be part of a community through engaging in daily routines. They are encouraged to absorb skills that support independence and develop healthy self-esteem. Half-day options are available as well as diapering services. Lead and assistant teachers speak exclusively in either Mandarin Chinese or Spanish. In the immersion classroom, toddlers absorb language and learn how to respond to and interact with teachers and other classmates. The focus is on expanding their absorptive capacities rather than on vocabulary. This critical preparation gives them the agency they need to progress academically, socially, and emotionally. 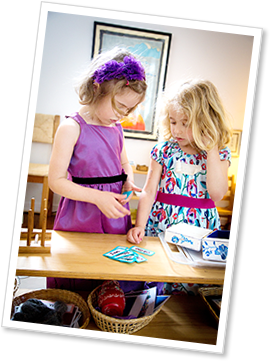 Experienced teachers guide toddlers to begin exploring, interacting, and learning. Lead and assistant teachers in both immersion classrooms speak exclusively in the target language. They are passionate about sharing their language and cultural expertise. One of the most important aspects of the preprimary classroom is learning the daily routines. With structure, toddlers feel secure, which gives them the confidence to begin exploring their rich learning environment and discover their individual affinities. In addition, students are given daily opportunities to use their imaginations to create. Such creative endeavors not only give them a sense of pride in their work, but also serve to strengthen their fine and gross motor skills. Classroom teachers support your child’s milestones, such as toileting readiness, throughout the school year. Partnership with families, including daily and weekly communication from teachers, helps guide student progress. This safe, secure space for them to grow in elicits the desire for more independence and exploration. In our primary program, your child will join a 3- to 5-year-old, mixed-age, child-centered, Montessori preschool classroom. Mixed ages provides each student the chance to be mentored by an older student as well as to later mentor younger classmates. The opportunity to lead has social and emotional learning benefits. During their primary Montessori cycle, students engage purposefully with prescriptive Montessori materials, which revolve around sensorial, practical life, and academic activities. The Montessori environment supports the child’s intrinsic motivation. Students learn most optimally when they are exploring what naturally fascinates them, and the Montessori materials and classroom areas offer plenty to capture their imaginations.The process of inquiring begins with gathering information and data through applying the human senses—seeing, hearing, touching, tasting, and smelling. Primary classes are led by Montessori guides who introduce students to the Montessori materials and curriculum, which they later engage with independently. In this way, they cultivate concentration and focus—the capacity to start a task and see it through to completion. The importance of multilingualism is TNCS’s defining principle, and the primary program does not stray from this philosophy. Language enrichment in both Mandarin Chinese and Spanish complements the Montessori curriculum in the primary classroom. A speaker of one or the other acts as assistant teacher, while a speaker of the alternate language circulates into the classroom three times a week for instruction in that language. These teachers communicate only in—as well as provide instruction in other disciplines in—the target language. Individualized instruction by adaptive, responsive educators in small classes allows students to develop at their own pace. This one-to-one instruction increases their investment in their own learning and, in turn, the extent of their academic mastery. The Montessori method is informed by this differentiated approach, and TNCS carries it through the Middle School program because of its many demonstrated advantages. 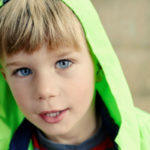 Just as the preprimary student was ready to join the primary classroom after exhibiting signs of “conscious functioning,” the primary student is preparing for a transition to the elementary classroom. The Montessori method creates authentic opportunities for students to engage in longer practical life and academic exercises, encourages their growing independence, and emphasizes the need to demonstrate grace and courtesy to classmates and teachers. All of these skills ready students for the increasing academic rigor they will face in elementary. Their social and emotional adeptness will also help them navigate their growing world. 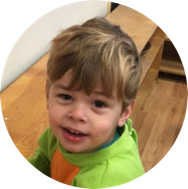 In preschool at TNCS, the child is the curriculum. Preschool students enjoy daily time on the TNCS playground as well as gym time several times per week. Specialized equipment sparks their imaginations while giving them plenty of the physical play they need for gross and fine motor development. Preschool students receive two nutritious snacks per day, and our optional vegetarian lunch program is available as an add-on. TNCS is a nut-free and sugar-free school to keep all of our students healthy. Optional care before and after the regular school day is available to all preschool students. And, when school is out, TNCS offers engaging summer camps as well as holiday camps for breaks during the academic year. 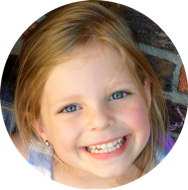 Extended care is overseen by educators who are passionate about the health and happiness of young children. Partnership with families, including daily and weekly communication of student progress, is essential to student success. Twice yearly conferences and parent workshops provide regular opportunities for families to learn about the preschool curricula. Volunteering and social events are also part of the preschool experience and are great ways to get to know fellow TNCS families and the broader school community. 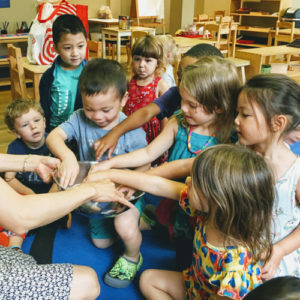 The Montessori preschool curriculum for primary students makes optimal use of the concept of “the absorbent mind,” in which young children are keenly receptive to their surroundings and social interactions. The Montessori preschool classroom provides hands-on, self-directed engagement with the specialized Montessori materials. Designed to invite manipulation and investigation, these ingenious materials entice children to explore them with all of their senses and encourage intrinsic motivation. Hallmarks of the Montessori method are mixed-age classrooms, self-motivation, learning from peers, and the cultivation of concentration. We are committed to providing each child the opportunity to become a self-motivated, happy individual through a balanced and enriching education. Learning spaces are clearly defined for individual and collaborative engagement, while plenty of open space invites social interaction and circle time. Activities are designed to tap into children’s innate curiosity and ignite it. In this nurturing environment, with a focus on grace and courtesy, students are treated with kindness and respect and shown the importance of treating others with the same compassion. TNCS Preprimary Gets Wound Up for a Very Special Art Show! Getting to the Second Floor: Making the Transition from Pre-Primary to Primary at TNCS! TNCS’s Second Biannual Primary Workshop for 2017–2018!